Alpha Company is embarking on a grand mission, crossing the Dead Lands to find and conquer Gwain’s Keep. Led by Alburet, most of the guild embarks on what could be an epic and memorable journey, as they aim at being the first Two-souled guild to capture a keep. Besides safeguarding the members of the guild, Alburet also has to worry about the natives that are with them on their journey. Deidre Crowley, Stacia’s sister, is the one he worries about most, having sworn to see her safely across the lifeless desolation of the Dead Lands. Having to be ultra-vigilant during the day, night brings welcome relief and relaxation to the raid. For Alburet, Karen, and Stacia it also brings their chance to help Fluffball come to grips with her past. 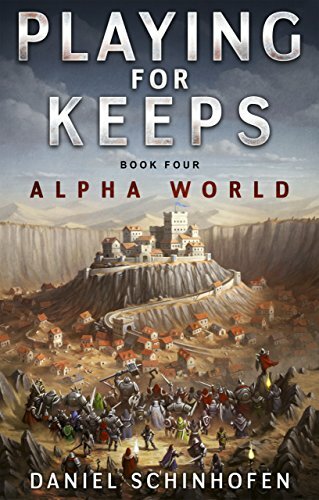 Rejoin the group in Alpha World while they “Play for Keeps”.